The present attempt in this project is to reduce the vibrations, temperature due to friction, noise and weight of I C engine valve guide by replacing conventional metal valve guide with composite valve guide. Composite materials have been used in automotive components because of their properties such as low weight, high specific stiffness, corrosion resistance, ability to produce complex shapes, high specific strength and good impact energy absorption etc. The Internal combustion engine valve guides are the parts that support the valves in the cylinder head, besides this it keeps lubricating oil from getting sucked into the combustion chamber past the intake valve stem, it keeps exhaust gases from getting into the crankcase past the exhaust valve stem and it also keeps the valve face in perfect alignment with the valve seat. A valve guide test rig is indigenously fabricated. Valve guides are manufactured using the developed composite material (Resin ARL-136, Hardener AH-126 and 4 vol% WS2), on a CNC lathe. The performance of the developed composite guide under varied conditions of speeds, that is, fixed change in rpm and modulated changes in rpm is assessed. Noise, temperature and vibrations are measured. 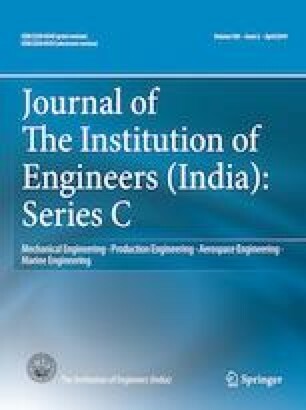 The experimental data revealed that contribution of composite guide in respect of acceleration, velocity and displacement components of vibration is not substantial. A substantial reduction in noise levels is seen. As far as temperature rise due to friction is concerned maximum components fail at elevated temperatures, with composite guides the temperature generated due to friction at higher speeds is less, a considerable weight reduction is also observed.